The Green Man in Toppesfield in Essex is a quaint and loved village pub, so loved that it was bought by 157 shareholders in December 2012; many of whom are from the village, and a handful from overseas. The pub is very village orientated with lots of locals visiting regularly who hold a Green Man card, which is swiped through the till system – holding all their account, order and payment details. The Green Man purchased a Lolly Pro till in Summer 2017, which has helped the team to provide the best service – particularly during peak trading periods. 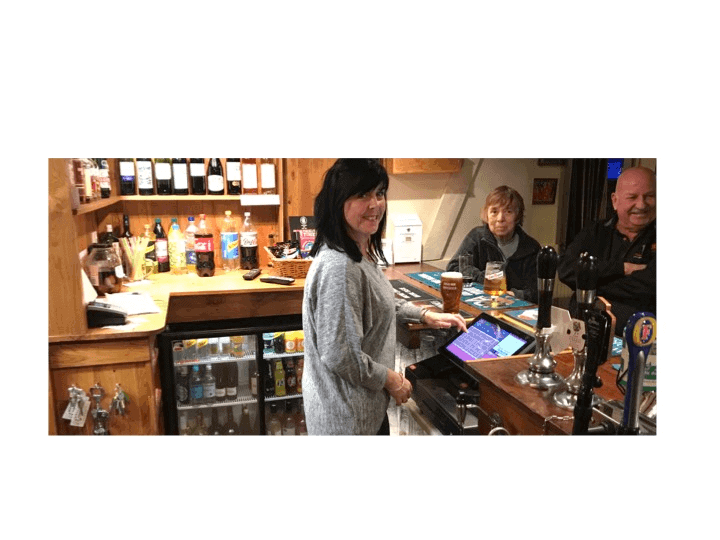 Pub manager, Vikki Weston said: “Our previous till was very basic, and it became difficult to operate a fast service during busy times of the day. She goes on to add that the till is able to recognise who is working and at what time, and can monitor for any potential errors and will continue to work if the pub goes off-line. The Lolly Pro is designed to provide faster performance times, and a durable till for a busy hospitality environment. The large touch screen makes it easy to work, with staff requiring minimal training. Vikki adds: “As a manager, I can log in to see how well we have done each day. It helps me to manage staffing levels for busy times, and also to order in the right levels of stock when I can see we are beginning to run low. “The till has really made my life easier, and it’s simple for staff who are used to using a computer. “The service levels from Lolly have been exceptional. When we set up there was someone on hand to talk us through the system and how to best use it. And, whenever we have had any issues (which has been rarely), they are ready to log in and troubleshoot. As the product information, pricing, stock levels, trading history and customer information is saved securely in the Cloud, staff and management can access vital information at anytime, anywhere, using any device. Lolly also provided The Green Man card payment device. As Lolly works with multiple service providers it was keen to make sure this local, community pub, was able to take advantage of the best deal available. Peter Moore, CEO of Lolly, comments: “The Lolly Pro is the perfect option for a busy local pub environment, designed to help management to run their operation as smoothly as possible. However, it also provides a simple system for taking orders and payments as rapidly and accurately as possible.